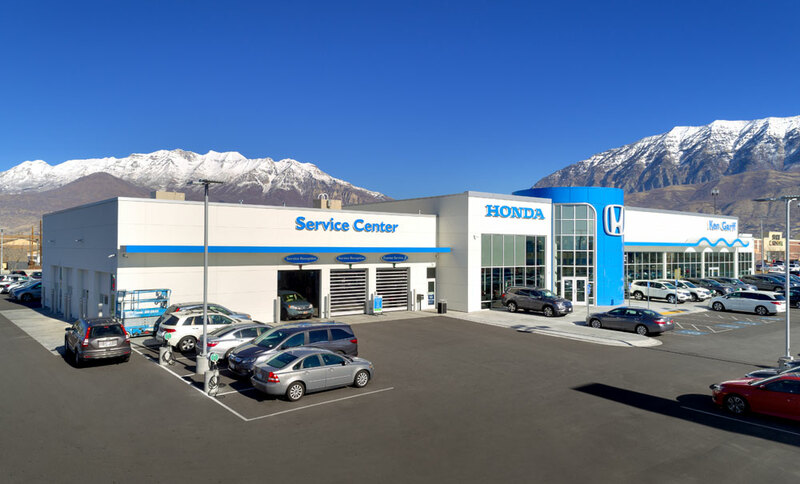 The Ken Garff Honda dealership is located in Orem, Utah along University Parkway. 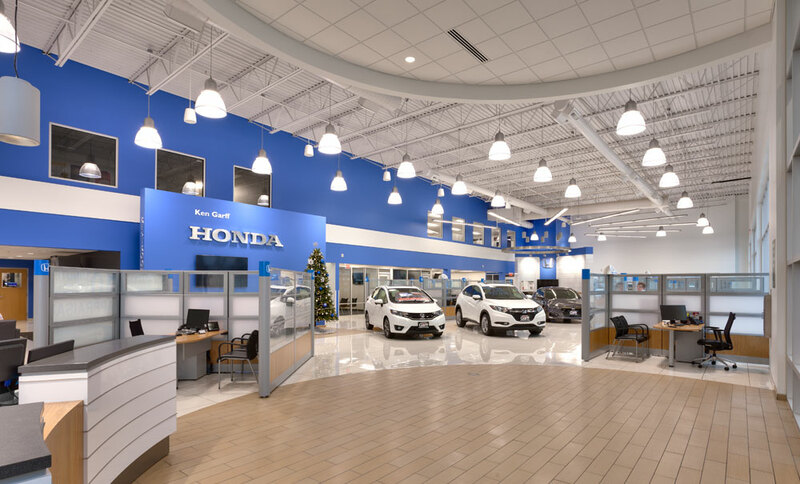 The building façade is constructed as an expansive storefront that allows visibility into the showroom with effective wayfinding to sales and service. 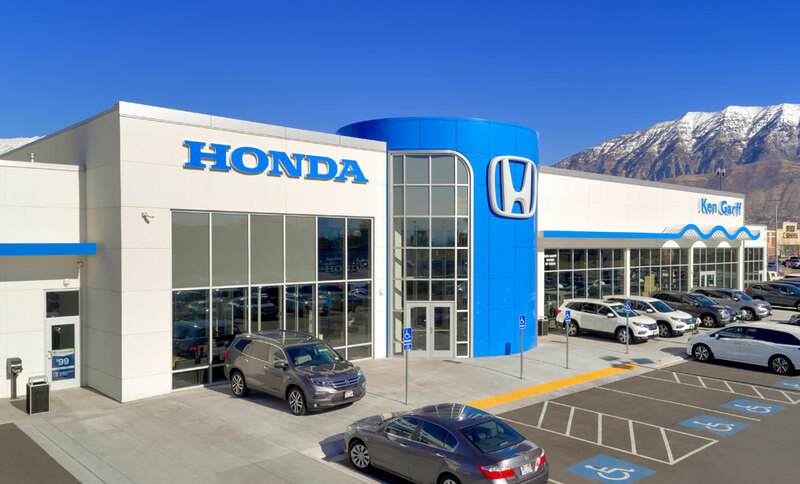 The exterior façade utilizes a combination of EIFS, energy efficient glazed curtain walls and aluminum composite metal panels. 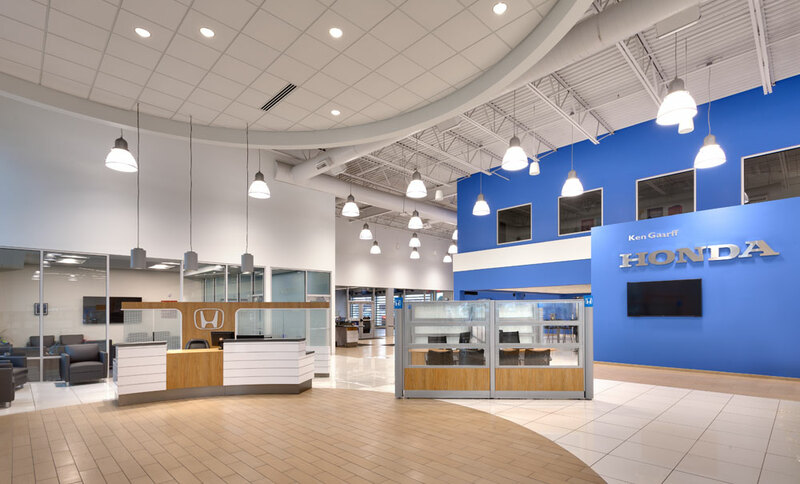 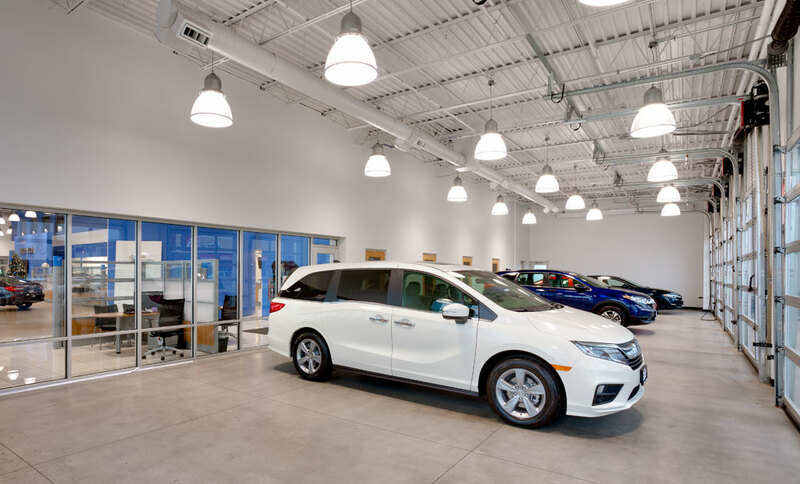 The Honda barrel entry and wave canopy are dominant architectural accents that accentuate the Honda manufacturer branding and imaging requirements. 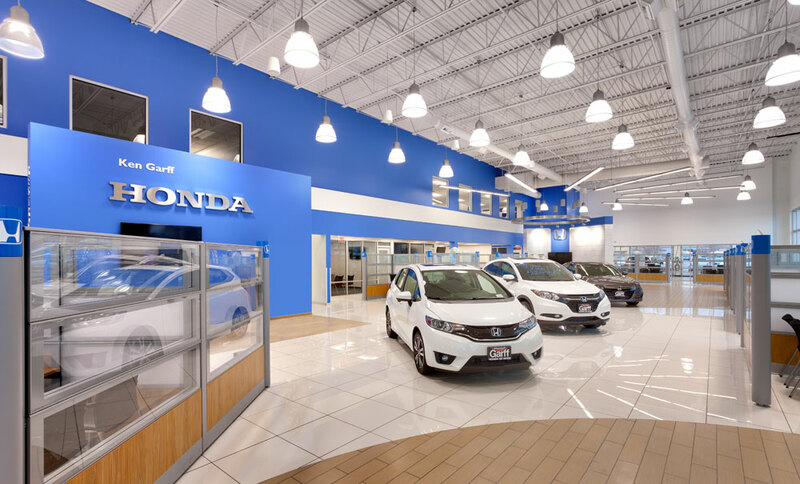 Interior floor finishes are contemporary and clean with comfortable customer and sales amenity areas. 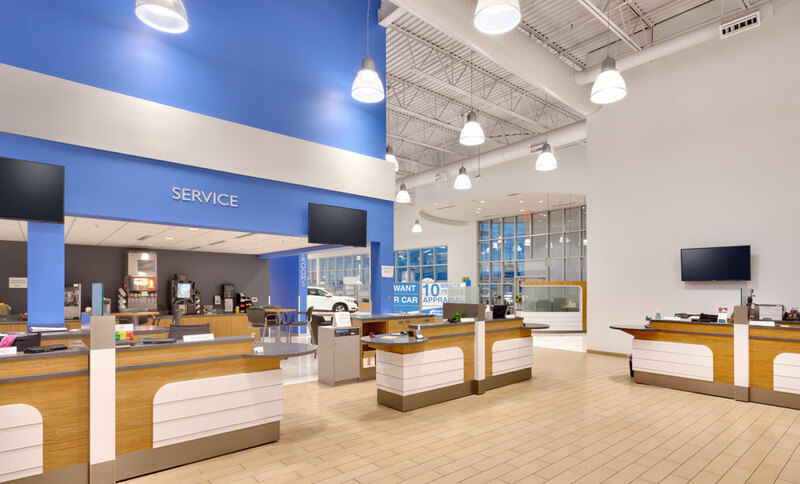 The service drive and service write up area are directly connected with the customer waiting areas and showroom. 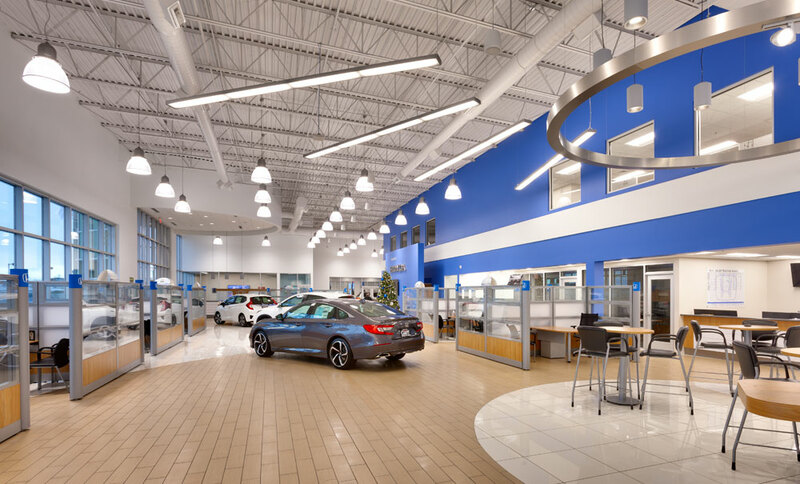 This allows the customer to be centrally located and have full visual and quick access to public areas of the dealership. 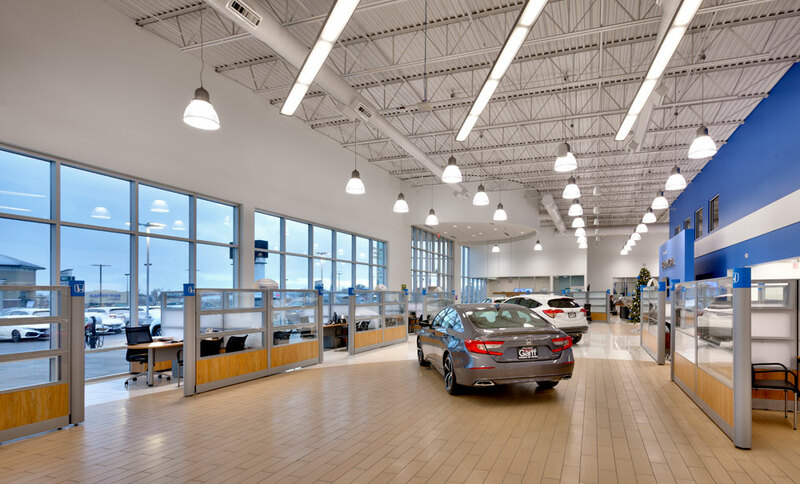 The taller volume of space in the showroom allows natural daylight to fill the space, creating a warm and inviting experience. 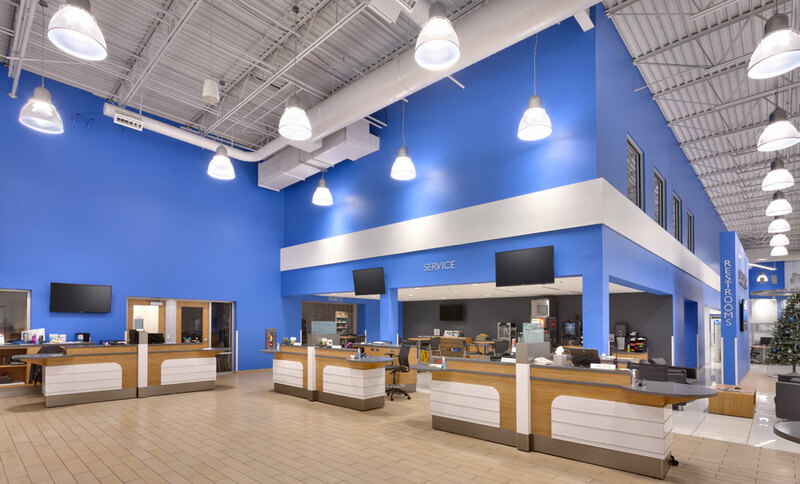 Updated tech employee support spaces, including restrooms, lockers, break room, and special tool rooms, etc. 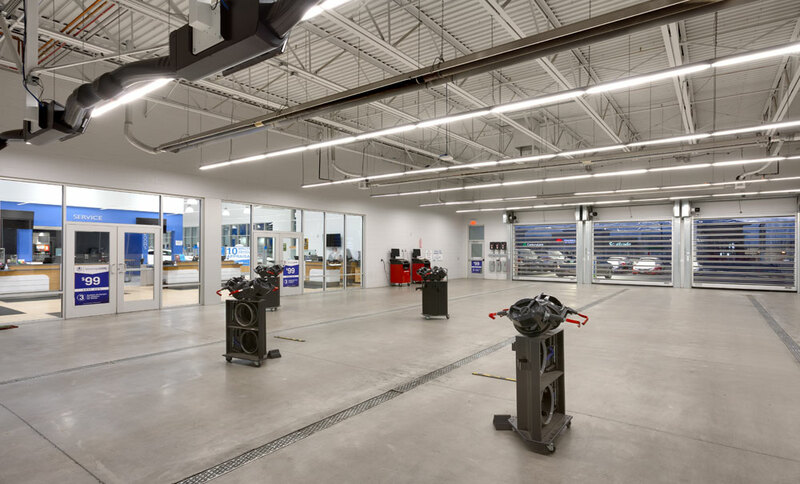 were provided in the shop. 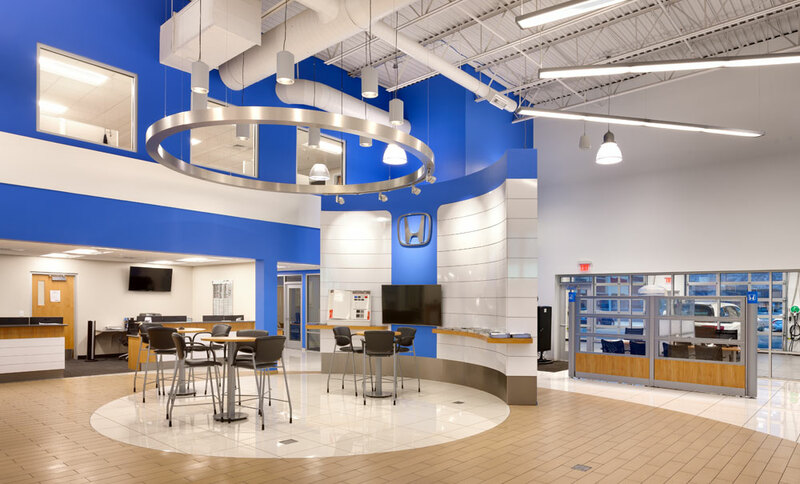 Additional office, training, and accounting areas were provided as additional support space for the facility. 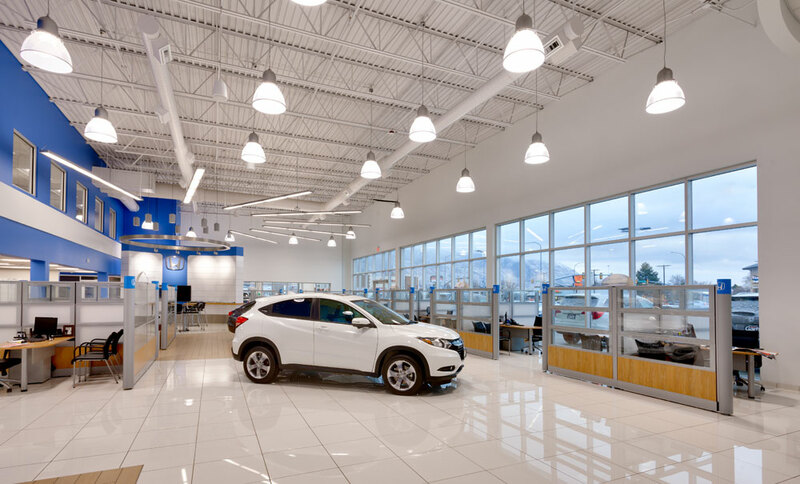 Energy efficient LED lighting was provided throughout the facility interior and exterior along with customer vehicle charging stations.